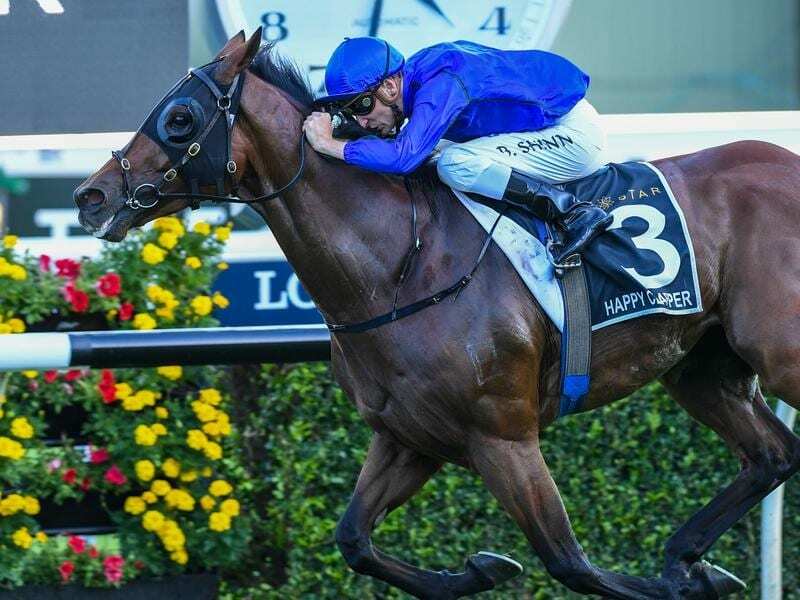 Triple G1 winner Happy Clapper has won a Randwick barrier trial ahead of his next clash with Winx. Group One performers headed by Happy Clapper and Trapeze Artist have starred at barrier trials at Randwick. Triple Group One winner Happy Clapper came from well back in his 1200m-heat on Friday to win and put to rest any lingering problems from his recent Melbourne experience when unplaced in the All-Star Mile at Flemington. The Pat Webster-trained gelding will run next against Winx in the Queen Elizabeth Stakes on April 13. The Gerald Ryan-trained Trapeze Artist was handy in his 1045m trial and edged past Irithea for a narrow win. Trapeze Artist claimed his fourth Group One win in the recent Canterbury Stakes and will defend his TJ Smith title on Saturday week. Both Happy Clapper and Trapeze Artist were ridden by race jockey Blake Shinn. Zousain, Lean Mean Machine and Vega Magic won the other three open trials over 1000m or longer.